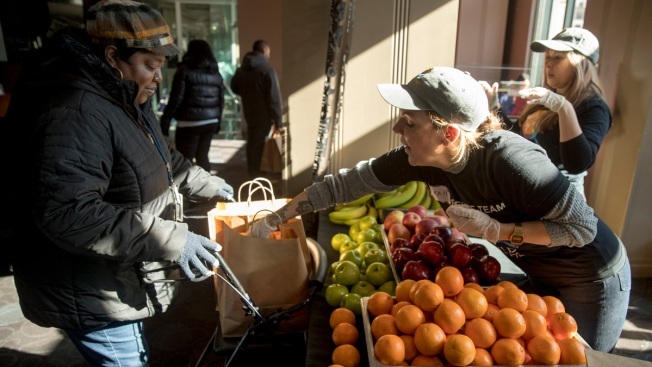 Furloughed government worker Sarah Stella, with the USDA, hands out fruit to other furloughed government workers at the World Central Kitchen in Washington on Jan. 22, 2019. Last week, Congress ended the federal shutdown — at least for now — slowing the daily flow of stories about furloughed workers who cannot pay their rent, work but have no savings, or are insured but cannot afford their medication. But while those workers have returned to their jobs, NBC News reports, the problems that come with economic insecurity remain top of mind for millions of poor and even middle-income Americans living on the financial edge. Most of these Americans are white, but a disproportionate share are not. Many of them work, but they’ve been crushed for at least a decade since the Great Recession by stagnant wages and rising costs for everything essential to live. And, much like the federal workers who were left scrambling with little savings after their pay was cut off, many Americans don’t have anything left over to save, not even enough to cover a $400 emergency. 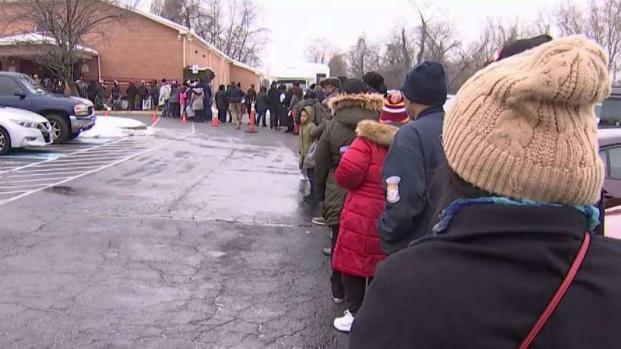 American food banks were "stretched to the brink" even before the shutdown, according to Joel Berg, CEO of Hunger Free America, a national food bank network.